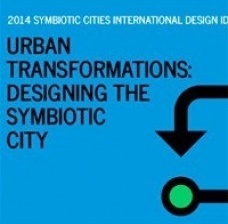 Welcome to the competition brief for the 2014 SymbioticCities International Design Ideas Competition:“Urban Transformations: Designing the Symbiotic City.” If you are a planner, urban designer, architect, landscape architect, engineer, or ecologist, we think you may have some important insights to share with the world about how to transform our existing cities into more resilient, climate adaptive, regenerative, symbiotic cities. We have designed this international design ideas competition for you to explore and show the world your ideas. For more about how to register for this competition see the Competition Rules Page . Entries are due by September 21st, 2014. An international jury of planning and design experts will select the winning entry to be announced on October 21st, 2014. DIALOG, this year’s competition sponsor, has generously sponsored a grand prize of $1,000 CDN. We will also be awarding runner-up book prizes.